As the number of robots interacting with people grows, it seems natural that some adjustments occur within societies. Though the extent of such adjustments is unclear, the current media frenzy on the effects of technology in societies, with a special emphasis in social robotics, is driving research to account for unexpected scenarios. The adjustments may include changes in the formations of social hierarchies, in which humans must take orders from robots, naturally triggering fears of dominance and convergence to societies operating under new Ethics. The paper adopts a dynamic systems view of social environments identifying stability with social order. 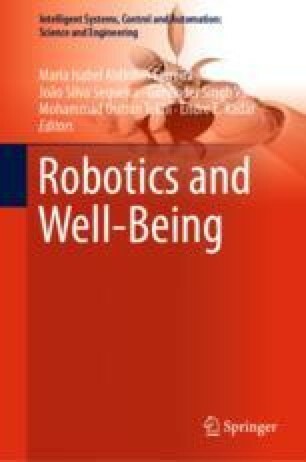 The introduction of robots in social environments is likely to change some equilibrium that can be identified with social order. Under relaxed assumptions societies can be represented by networks of non-smooth systems. The paper thesis is that by integrating a robot in a social environment in small steps (under realistic expectations) stability is preserved and hence also the social order. Disturbing social hierarchies may indeed lead to a different equilibrium, that is, to a new social order.